SANTA BARBARA, July 25th – Be Green Packaging, LLC. today announced that it has successfully completed its annual audit to renew the status of its bulrush food containers as Cradle to Cradle Certifiedcm Silver . The Cradle to Cradle Products Innovation Institute (C2CPII) is an eco-certification body that maintains progressive environmental standards. The organization requires an annual review of product materials and manufacturing processes to ensure compliance with its protocols. 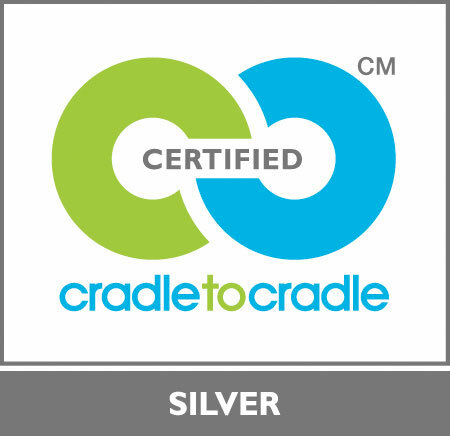 The Cradle to Cradle Certifiedcm program provides a high level of transparency into a company’s affairs by allowing an independent, 3rd party organization to review product design, manufacturing facilities, and processes in order to provide feedback on areas that may need improvement or adjustment. If a company meets or exceeds the institute’s standards, a certification is awarded according to varying levels of achievement along a continuum. The Cradle to Cradle Certifiedcm standard is based on the principles outlined by Dr. Michael Braungart and William McDonough in their seminal book ”Cradle to Cradle: Remaking the Way We Make Things”, which laid the framework for reassessing how we view a products life cycle. According to C2CPII literature, a “Cradle to Cradle Certification is a multi-attribute eco-label that assesses a product’s safety to humans and the environment and design for future life cycles.” Products (and the associated manufacturing processes) must meet or exceed a series of standards that assess applications in the following five areas: material health, material reutilization, energy (renewables usage, conservation), water stewardship, and social responsibility. As of the writing of this press release, Be Green Packaging is the only foodservice packaging manufacturer to have been Cradle to Cradle Certifiedcm. The company recently received industry wide attention for its work with Gillette (P&G), which garnered the duo a Diamond award at DuPont’s 23rd Annual Awards for Packaging Innovation. In addition to P&G, Be Green currently supplies notable organizations such as Whole Foods Market, 7-11, and Sonoco, among others. The company will be expanding its worldwide operations by opening the nation’s first plant fiber packaging facility in South Carolina later this year. Cradle to Cradle Certifiedcm is a certification mark sub-licensed by the Cradle to Cradle Products Innovation Institute. 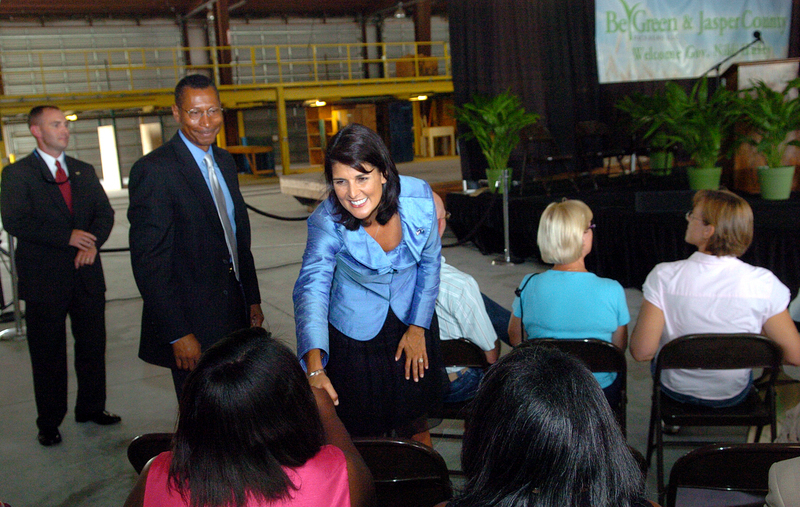 On Thursday, July 14th, 2011, Be Green Packaging will be hosting South Carolina Governor Nikki Haley at their new manufacturing facility in Ridgeland, SC. The Governor will be giving a short speech at 1:30 p.m. officially welcoming Be Green Packaging to the state. Governor Haley’s speech will be followed by an address from Be Green Packaging CEO, Ron Blitzer. Drinks and light food will be served afterwards. The event is open to the public and will feature a ‘Sustainable Resource Room’ with tables and exhibits from local organizations and institutions. The event will begin at approximately 1:00 p.m. with the Governor speaking at 1:30 p.m.
Packaging Digest, one of the packaging industry’s longest running publications, has recently announced that it will be featuring the Gillette Fusion ProGlide trays on the cover of its upcoming issue. The trays, which garnered a Diamond Award at the 23rd Annual DuPont Awards for Packaging Innovation, were designed and subsequently manufactured in tandem with Be Green Packaging. 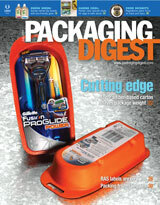 The innovative design and nature of the Fusion ProGlide trays has produced significant interest within the packaging industry, which is reflected in the decision of Packaging Digest to run the headline story in the upcoming issue on the Gillette (P&G) Be Green Collaboration. Read the Packaging Digest article here.